This article describes how clients can use the Cleeng paywall with Field59 videos and live streams. If you wish to protect your videos through a payment system, an easy-to-use self-service platform is Cleeng. Cleeng offers a variety of pricing models and configuration options. Please see Cleeng’s documentation for more information. Before you put your Field59 video, playlist, or live stream player into Cleeng, first ensure that you have limited your video to only load on cleeng.com domains. To do this, log in to the FIeld59 video manager and create a custom player configuration that has domain restriction set to “cleeng.com,” and associate the player with your video or live event. 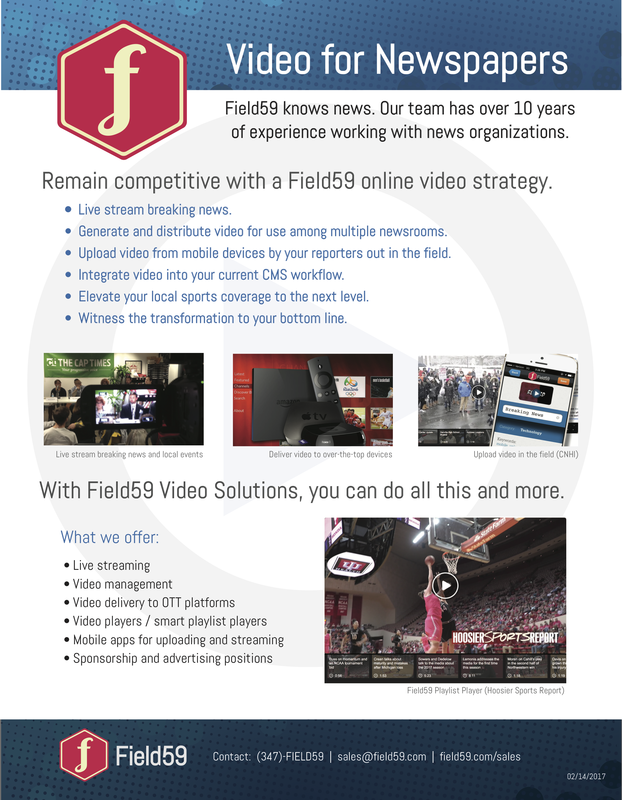 Please contact Field59 Support if you have questions about this step. Field59’s video, playlist, and live stream players load easily onto a Cleeng page. After completing the domain restriction setup, log in to the Cleeng system to set up your account. You’ll need to add event details and the price you will charge for viewers to watch it. 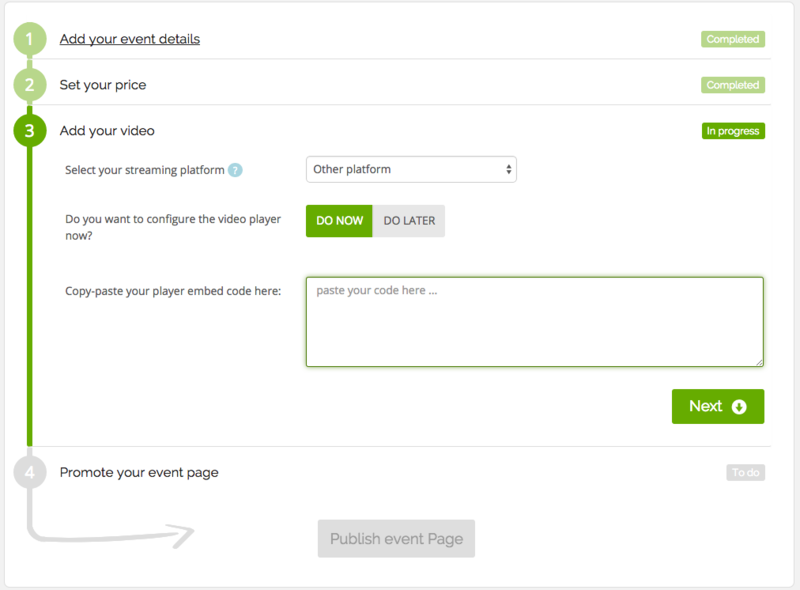 In Step 3 (Add your video), choose Other platform if you are streaming a live event or live channel, then copy and paste your live event embed code from the Field59 manager into the field that appears. 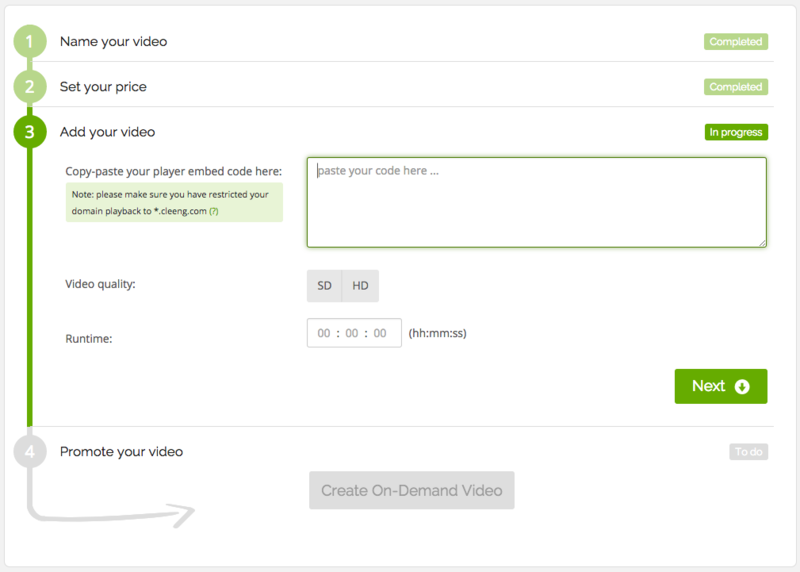 If you would like to protect a video on demand or playlist item, copy and paste your video embed code into Step 3 in Cleeng’s video on demand page. After setting up the video in the Cleeng account, you should now be able to stream your paywall-protected video to paying viewers.